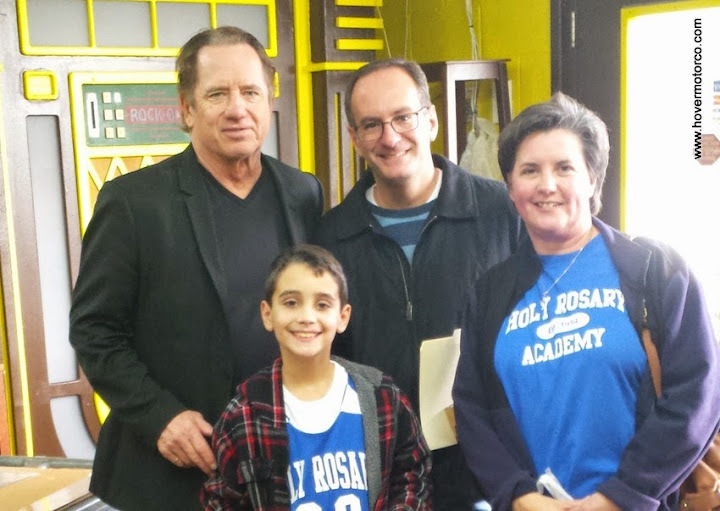 Wopat hasn't signed too many Dukes of Hazzard autographs over the years, but now that he's back at it, it's obvious that his fans have been waiting for him. And why wouldn't they? This was the guy who rode shotgun in the General Lee, the most famous car in the history of television. This car can clear-jump a freakin' barn. I know it left an impression on me when I first saw it on our 20-inch color RCA in 1979. 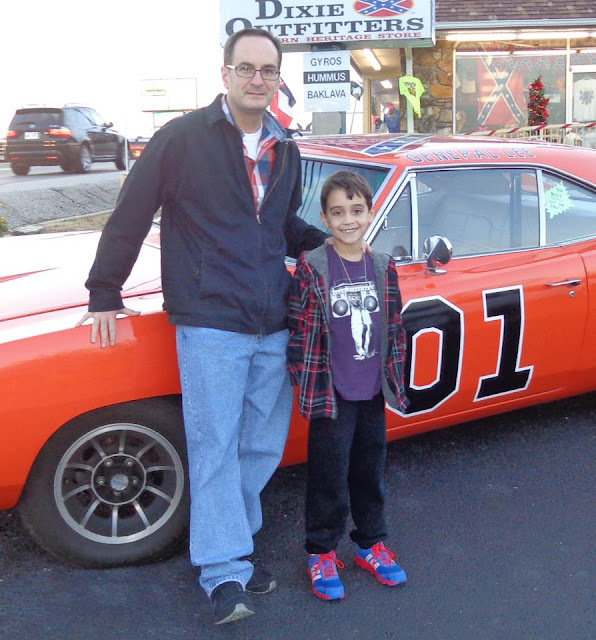 Thanks to their parents, movies, and TV commercials, most kids still know the General Lee today. This is one pop icon that has staying power. Of course, the General Lee is based on a ’69 Dodge Charger. This is a car that was built in the heart of the muscle car era. They were the basis for the NASCAR-inspired Dodge Daytona and Charger 500. They could be equipped with Hemis. 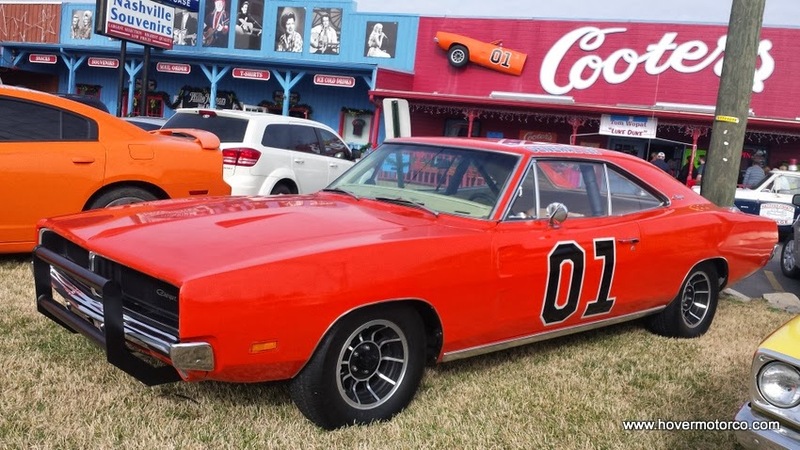 Sure, the General Lee was a cartoonish fake racecar with a confederate flag on the roof that was created for some TV show, but the car it is made from actually has some street cred. Of course, the General Lee usually jumped something in every episode. That means they tore up a lot of cars. I’ve seen estimates of anywhere from 250-350 cars totaled during the run of the show. If you watch, sometimes the same jump appears on more than one episode. And I suspect that they also filmed the jump from different angles or from the other direction, thus giving them another “new” jump for a future show. But still, they wrecked a bunch of ’68-’70 Chargers doing this. I also remember hearing that they used to fly around in airplanes and look for Chargers on the ground to buy for the show, and they also used to try and piece together the roached-out stunt cars so they’d have more General Lees after they were crashed. I’ll bet it really was a lot of work to make all of this happen. The thing I appreciate when I watch this show now is that some guy was actually in that car, flying through the air, hoping to land unscathed. Sure, the scenarios that forced the Duke Boys to jump a gorge have no similarities to real life, but someone was still in that car doing that. I can’t even imagine attempting something like that. What a job these people had. One of the seasons on DVD includes an interview that said they had considered using a first-generation Camaro early in the series, but the unibody of the Camaro didn’t hold up well after a jump. As a Chevy guy, I guess I’m grateful that they didn’t send 300 Camaros to their graves. I wouldn’t have liked the show any better anyway. I have the entire seven-season series set on DVD, and I’m not ashamed to admit that I watch it with my nine-year-old son regularly. I actually like lots of old car shows—Smokey and the Bandit, The Blues Brothers, etc. But most of them have too much bad language or other adult themes for a young kid. 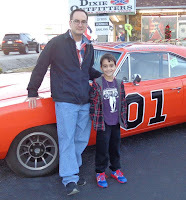 The Dukes of Hazzard is actually pretty family-friendly, so I don’t have a problem showing it to him. As expected, you tend to see replica General Lees at car shows on occasion. In spite of the relatively high values that a ’69 Charger brings these days, people still don’t seem to have a problem with painting them orange and climbing through the window. And that’s where today’s slideshow comes in. I’ve compiled General Lees that I’ve photographed at various events, and included them in the slideshow below. Or, for a nicer version of the slideshow, click this link.